Penn State electrical engineer Mohsen Kavehrad is one of the experts interviewed for the upcoming book, The Shark’s Paintbrush. 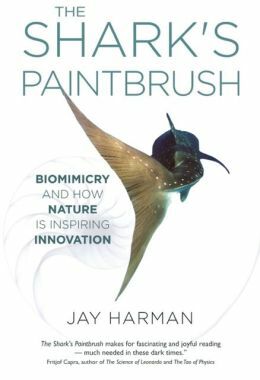 An upcoming book titled “The Shark’s Paintbrush: Biomimicry and How Nature is Inspiring Innovation” includes an interview with Mohsen Kavehrad, the W.L. Weiss Chair Professor of Electrical Engineering. Author Jay Harman interviewed Kavehrad on a paper he published through a Defense Advanced Research Projects Agency/Air Force Research Laboratory project. Kavehrad is director of the National Science Foundation Industry and University Cooperative Research Center on Optical Wireless Applications and the Center for Information and Communications Technology Research. The book is due out as a hardcover and audiobook in June. More on Kavehrad’s work can be found here. The College of Engineering Graduate Student Council will host a “Call for Abstracts” event from 5:30 to 7:30 p.m. on Nov. 27 in Kunkle Lounge. The event is designed to give students an opportunity to learn about the 2013 College of Engineering Research Symposium (CERS), scheduled for April 2 at the Nittany Lion Inn. The annual CERS allows students to present their research to science and engineering faculty, students and industry representatives. Participants will compete for research and travel grants totaling $5,000 for best poster and best paper in undergraduate and graduate categories. More information on CERS can be found online at http://cers.engr.psu.edu.